In addition to Sure Sense, HP's new laptops and workstations will include brighter displays, Wi-Fi 6 wireless networking and new processors from Intel. The HP EliteBook x360 830 G6 is the world's brightest business convertible laptop according to the company and it can even be viewed clearly while outdoors. 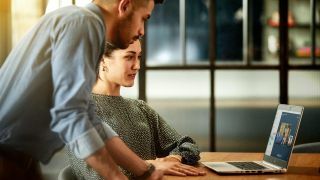 HP also introduced the HP Zbook 14u and 15u for power users that don't want to compromise in terms of performance, connectivity and security.